HUMAN USE OF AQUIFERS AND GROUNDWATER IN THE U.S. 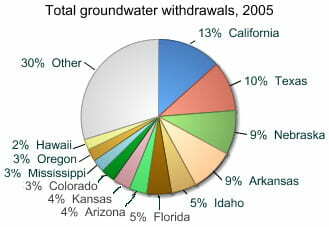 Aquifers in the US have typically provided water for a variety of uses as shown in the chart below. 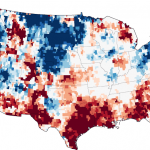 While some cities and regions may use almost no groundwater, others such as Phoenix, Arizona and San Antonio, Texas, are highly dependent on groundwater. Regions such as the High Plains of Texas also use high volumes of groundwater for irrigated agriculture. Compared to surface water (rivers, lakes, springs, etc. 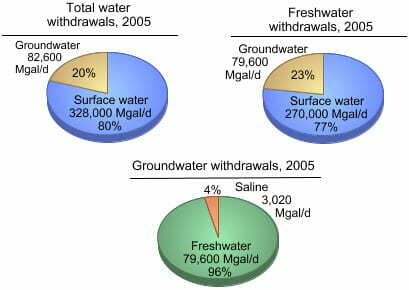 ), groundwater tends to be the smaller volume withdrawn from a source. 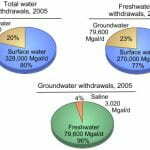 The higher expenses of well installations, pumping costs, and possible treatment of groundwater are other reasons that groundwater is utilized less than surface water. 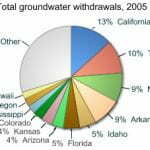 How does groundwater withdrawal rank by state? California’s irrigated farmlands in the Central Valley as well as Texas’ and Nebraska’s High Plains use of the Ogallala Aquifer put them in the highest use categories. 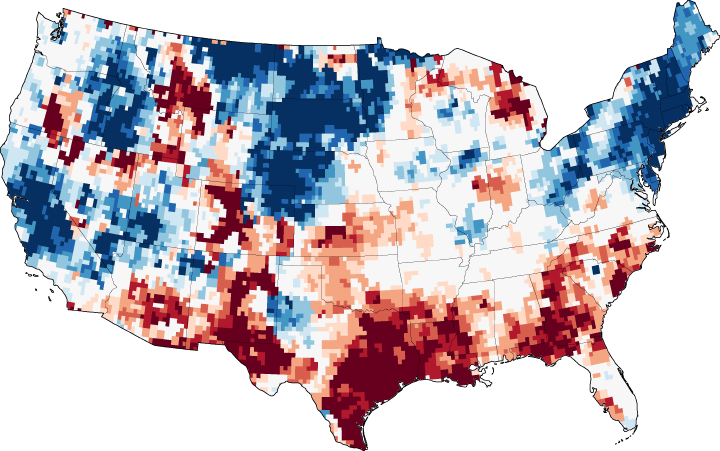 However, states that see plenty of rainfall (Oregon, Florida) also utilize their aquifers. The record breaking drought of 2011 affected Texas Groundwater the most severely. See more from NASA’s Earth Observatory page by clicking the image below. The Texas groundwater is severely depleted.